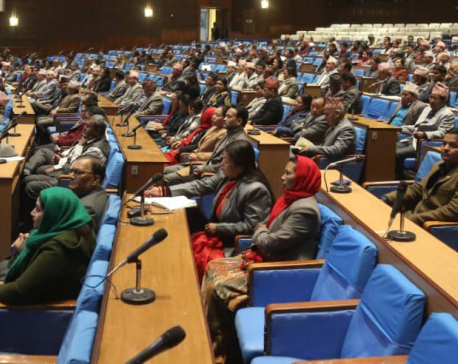 KATHMANDU, Sept 16: The federal parliament is set to endorse all laws to enact the fundamental rights ensured by the new constitution within the next few days. 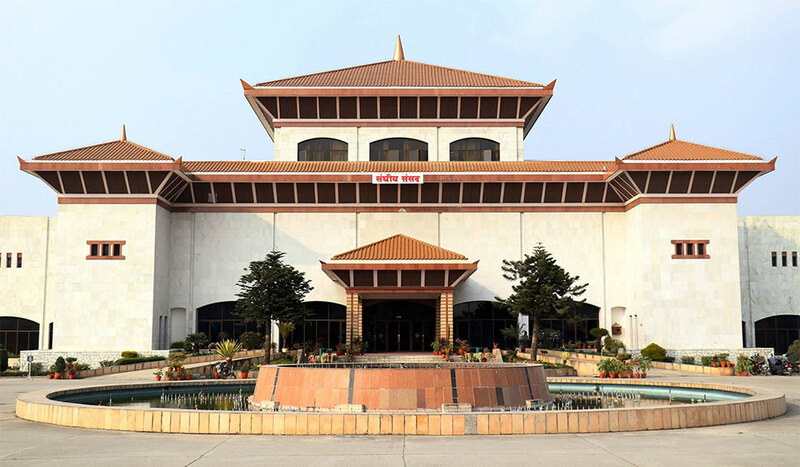 While two laws related to the fundamental rights are ready for authentication from the president, other 13 bills are in the pipeline to be endorsed from the federal parliament. Nine of them have been passed by the lower house, four others have been endorsed by the upper house. Two of the latter four bills have been passed by both the houses. The bills need to be endorsed from both the houses. Once, the lower house endorses, the upper house can't reject it. The implementation of all fundamental rights is directly concerned with the general public as these laws ensure the right to basic food, shelter, personal privacy, free education, basic health services, employment and clean environment for all citizens. The new fundamental rights have also ensured safe motherhood, compensation for victims of a crime, right against untouchability and various rights of children. Sentences and penalties, too, have been proposed on the breach of these rights in the new fundamental rights. Right to Education has ensured free education in public schools up to the secondary level (class 12) for all citizens and private schools should provide completely free education to 15 percent of their students. The law also requires the citizens to get educated compulsorily up to the primary level. After the enactment of the law any citizen not completing primary level (class 8) education will be disqualified for employment, business and contesting polls after a decade. The provision bars uneducated people from employment in any government or private services, becoming owner, share holder or board member of private institutions, acquiring license for private business and contesting polls in local, provincial or federal elections after April 13, 2028. But the bill doesn't bar any individual crossing 12 years or already remaining in the mentioned positions prior to the date. Similarly, the Social Security Bill has ensured identity cards and allowance for citizens above 70 years, people with disability or destitute, single women above 60 years and Kusunda, Raute, Hayu, Kisan, Meche, Bankariya, Surel, Raji, Lopcha and Kushawadiya communities. But pensioners have been barred from social security allowances. However local units are barred from distributing social security duplicating the existing policy of federal government. Right to Personal Privacy is ensured on citizenship, marital status, date of birth, body, family, residence, property, documents and records, data, letters, emails, passports, identity cards, finger prints, blood group, biometric information, character including other very personal details. According to the new law the breach of privacy rights by any other individuals could land them three years in jail or thirty thousand rupees in fine or both. However, the privacy of public office bearers, those appointed to public posts, those retired from public positions, public figures or any individual involved in illegal activities has been limited and the media has been allowed to obtain and write about personal details to some extent. Ensuring the right to free basic health services for all citizens, the Bill on Public Health has guaranteed 10 basic health services including vaccination, maternity services, treatment for communicable diseases, mental illness and ordinary emergency services. The bill has also barred the state from footing the bill of any citizen including top government officials for any medical treatment outside the country. Right against untouchability has doubled the compensation and punishment in a bid to discourage and criminalize any kinds of untouchability. The new bill has fixed a maximum compensation of Rs 200,000 and a maximum three years jail for such offences. The Right to Residence bill has proposed financial aid for building houses for financially deprived citizens and residence facilities to the citizens living under extreme poverty line. Right to Employment has ensured an unemployment allowance for unemployed citizens. After the collection and verification of unemployed persons, the state will provide at least 25 percent of the minimum wages for four months a year for livelihood allowances for the unemployed persons. Right to Safe Motherhood has ensured free reproductive health education, counseling and awareness, right against unwanted abortion and right to safe motherhood, right against abortion after gender identification, right to obtain newborn's birth certification without exposing father's identity, among other rights. Similarly, the Right of Customers bill has ensured the people's right to get quality and standard goods and services, a complaint hearing mechanism and a consumer court, compensation for sub-standard services and goods among other rights. The law also makes it mandatory for tagging labels on products, fixing responsibility of manufacturers, transporters, retailers and also proposed standard of price fixing. The Rights of Children bill has drawn out the parent's responsibilities to their children, rights of children against being used for labor or in protests, including various other rights. Only two rights, including the rights of people with disability and clean environment have been endorsed from both houses of federal parliament by Saturday. 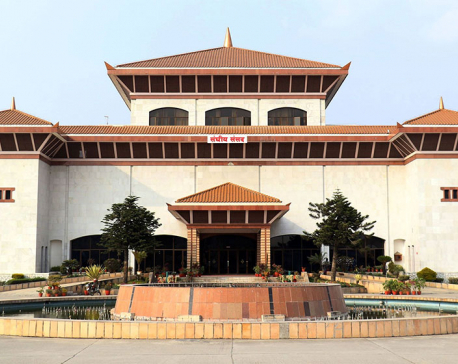 Parliament has expedited endorsement process of the remaining bills to meet the September 19 deadline for enacting the laws related with the fundamental rights.